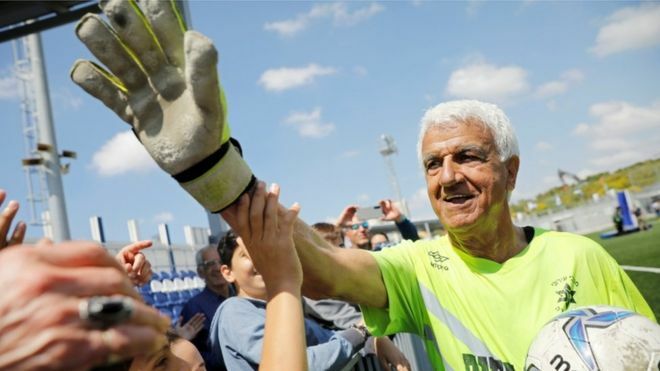 An Israeli footballer has entered the record books after becoming the world's oldest player to take part in a professional game at the age of 73, BBC reported. "This is not only a source of pride for me but also to Israeli sports in general," Hayik told Reuters news agency. One of his sons, 36-year-old Moshe Hayik, described his father's achievement as "unbelievable". He joked that he "used to get tired before he did" when they played together. He beat Sir Stanley Matthews' 52-year-long record in 2017 by netting the winner in Yokohama FC 's 1-0 victory over Thespa Kusatsu in J-League 2.